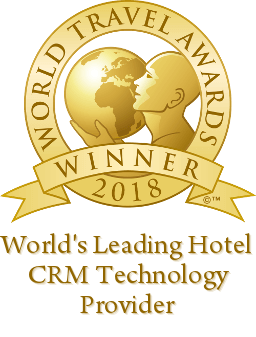 Boca Raton, Florida – September 24, 2018 – Cendyn, the leading provider of hotel CRM and hotel sales platforms in the hospitality industry, has been voted as North America’s Leading Hotel CRM Technology Provider and North America’s Data Driven Marketing Agency for 2018. The prestigious World Travel Awards recognizes companies, organizations and brands that push the boundaries of hospitality industry excellence. The awards in North America follow Cendyn’s win of Leading Hotel CRM Technology Provider in Europe and Leading Data Driven Marketing Agency in Europe and Asia 2018. Cendyn is also in the running for these categories, as well as Events Management and Sales Proposal Platforms, in the Worldwide competition, with winners announced in December at a gala reception in Lisbon, Portugal. Cendyn’s CRM Suite caters to every hotelier from large brand to small boutique properties. Using multiple integrations, Cendyn consolidates numerous data points from disparate data transactions to engage with travelers throughout the guest journey. Business rules-based automation combined with dynamic personalization and upsell opportunities drive revenue through multiple channels and helps hotels acquire new customers. Hotels are continuing to evolve in how they engage with their guests. By using technology and data to drive this engagement with guests, hoteliers are able to revolutionize how they interact with guests, use tools to drive direct bookings, maintain brand presence with their most valuable guests and stay competitive in their market. Cendyn’s integrated Digital Marketing Suite and Hotel CRM Suite enables hoteliers to keep their guests at the forefront of what they do and concentrate on providing exceptional, personalized customer service at all times.